DANE SHADOW (AUS) (Bay 2001-Stud 2005). Winner at 1400m, NSW Tatt's RC Ming Dynasty H., Gr.3. Sire of 493 rnrs, 324 wnrs, 10 SW, inc. Red Tracer (Qld Tatt's RC Tattersall's Tiara, Gr.1), Shellscrape, Hurtle Myrtle, Shadows in the Sun, Tsaritsa, Danish Twist, Turnitup, Luen on Treasure, One Rar, Fill the Page, SP Patch Adams, Harrier Jet, Trevinder, Pharomac, Danish Spy, Shadow Assassin, Paddy's Shadow, Endless Days, Cinematic, Reiby the Red, etc. Stella Ombra (g. by Dane Shadow). 8 wins. See below. No Problem (g. by Real Saga). 3 wins at 2, A$207,500, BRC Ambassador Travel 2YO H., Councillors 2YO Cup, GCTC Coastal Tipper Hire 2YO H., 3d BRC Heartkids 2YO H., Powerade 2YO H., XXXX Gold 2YO H., Rockhampton JC Capricornian Community Banking 3YO P., Ipswich TC Pepsi Max Maximum Taste P.
Lofn. 4 wins at 1200m, A$85,750, to 2016-17, Ipswich TC Queensland Times P., Enjoy Schweppes H., 3d BRC Weddings H.
Knuckle Up. Placed at 2 in 2017-18 in Aust. Up and Ablaze. 4 wins from 1050m to 1650m in Aust. Newsfront. Winner at 1200m in Aust. Race Record: 42 Starts 8-7-8 A$375,900. 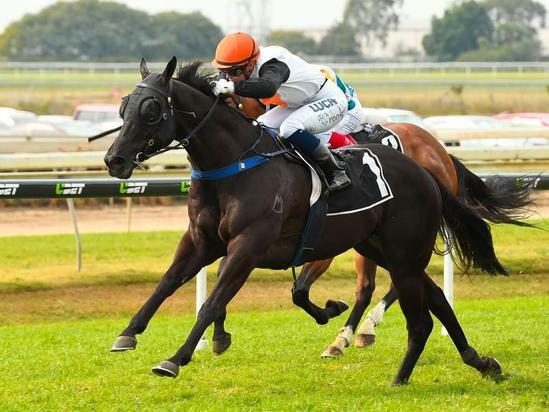 8 wins to 1200m, A$375,900, to 2017-18, BRC Treasury Casino Oaks Day H., Qld Racing Integrity Commission H., ATC Leith Group H., BRC Chris Munce Racing H., Qld Tatt's RC Winning Edge Presentation H., SCTC Pool Pro & Simply BetterP., 2d BRC Kohan and Chet H., Toxfree H., Sprite Origin Jockey Series H., Ipswich TC Channel 7 P., 3d BRC Andrew Goves 40th Birthday H., Daniel Bullimore H., Ascot Plumbing H., Lift P., AQWA Construction H., SCTC Konami Gaming H., 4th BRC Falvelon H., L.